As most of today was spent on the bus traveling Vienna I wasn’t planning on writing a blog post. 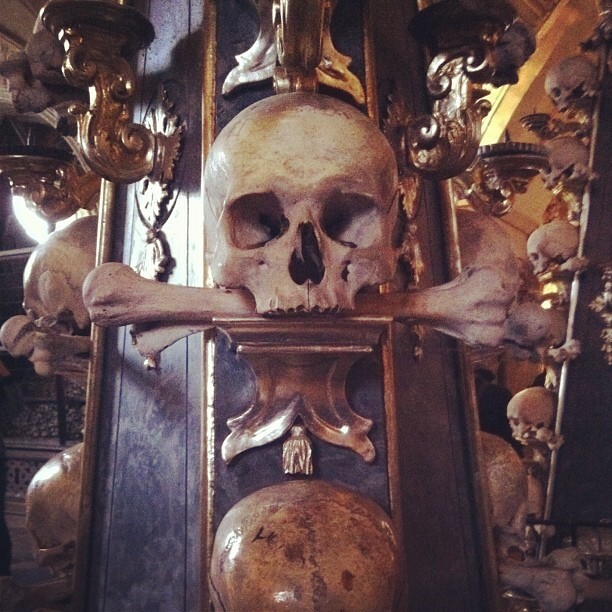 However, we stopped off at the Sedlec Ossuary (Bone Church) on the way and it was just way too crazy to not post a couple of photos. The Sedlec Ossuary (Czech: kostnice Sedlec) is a small Roman Catholic chapel, located beneath the Cemetery Church of All Saints (Czech: Hřbitovní kostel Všech Svatých) in Sedlec, a suburb of Kutná Hora in the Czech Republic. The ossuary is estimated to contain the skeletons of between 40,000 and 70,000 people, many of whom have had their bones artistically arranged to form decorations and furnishings for the chapel. 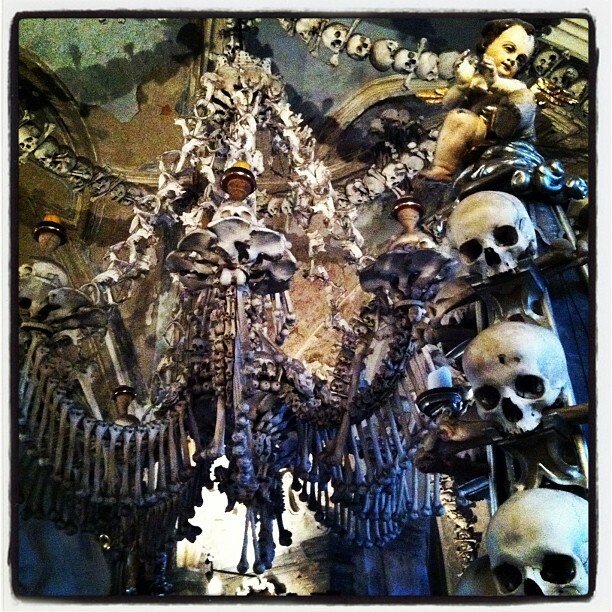 When I die I totally want someone to turn me into a chandelier!